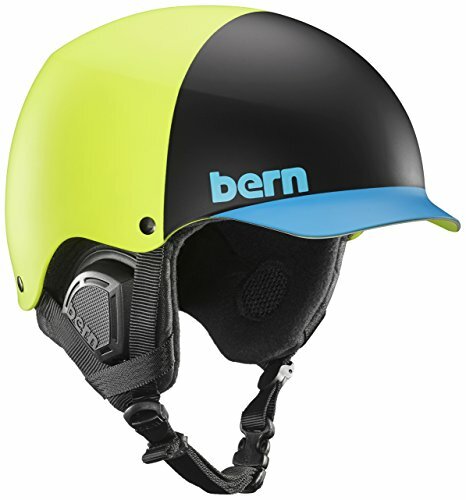 The original visor helmet serves up a unique style with comfort and protection so whether youre on your board, bike, the slopes, or in the water, the Watts, will have a model to match your needs. The EPS is a certified helmet, unlike the Baker HardHat counterpart, that is not. SO why do you want that, you ask? Why does it exist? 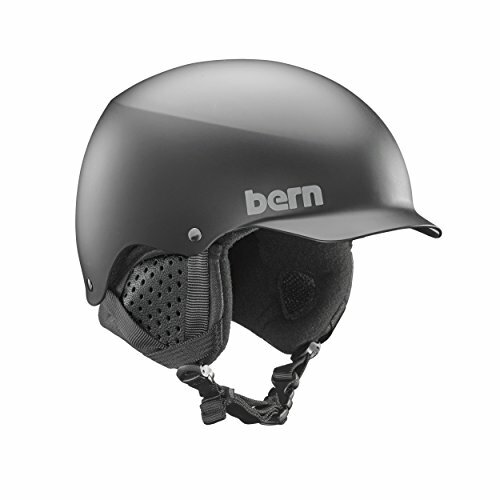 The EPS/Thin Shell model is a certified helmet for both bike and snow. This model uses a thin ABS shell lined with EPS Foam to create a burly lightweight lid. A certified helmet is designed to crack and absorb a gnarly impact, much like you may encounter should you take a hard spill on the hill or riding your bike. Depending on the season your helmet will come with either an EPS Summer Comfort Liner or an EPS Winter Liner and you can buy the alternating seasons liner based on your needs to keep up with you through the seasons. Technology Available as a helmet with ABS shell and EPS hard foam. EPS hard foam meets ASTM F 2040 and EN 1077B standards for snow and ski, CPSC and EN 1078 standards for bike and skate. 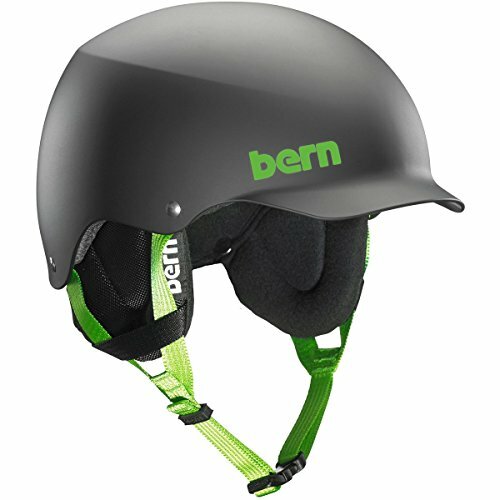 The Bern Baker EPS Visor Thin Shell Helmet uses a deep fit and super-thin ABS shell to keep it super low-profile so your head doesn't look like a big ol' melon, and the subtle brim and wide range of colors give it a unique look.The Baker starts with Bern's Thin ABS hard shell and then adds EPS, a lightweight, single-impact foam that evenly distributes force and gives its life to save yours in the event of a high-impact crash. Bern's Signature Shape allows the Baker to be up to 35% lower in profile than standard snow helmets, and the ergonomic fit means it fits around your head instead of perching on top of it. 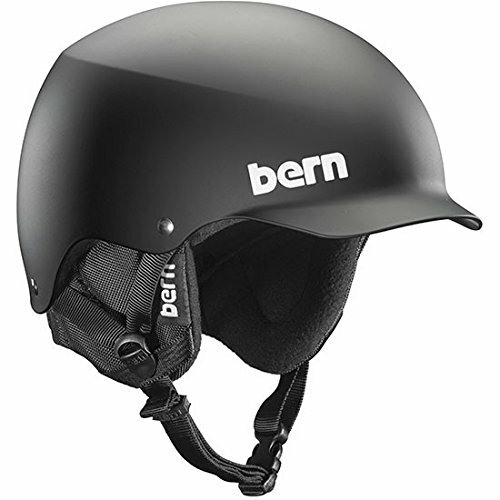 And, unlike other helmets, you can take the liner out when it warms up for spring-ski comfort and then summer at the skatepark. Most snow athletes strip down there helmet and run it without the liner over a beanie, the Team Baker lets you do the same, with a lined shell and snap on ear pads if needed. 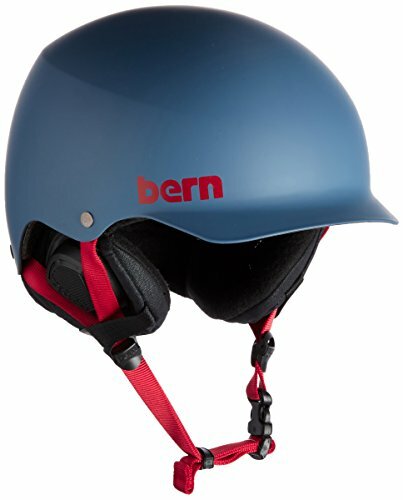 The original visor helmet serves up a unique style with comfort and protection whether you're on your board, bike, the slopes, or in the water. 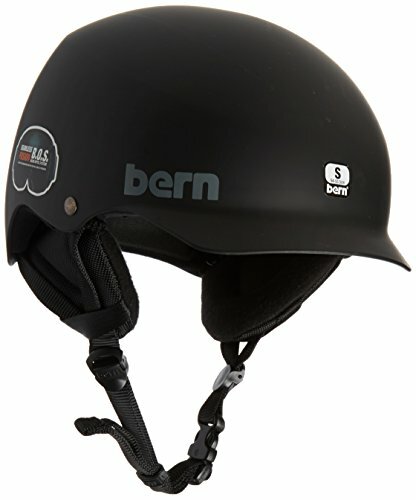 Certified EPS Helmet for both bike and snow.